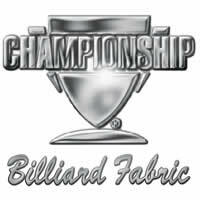 Championship is a premium manufacturer of billiard cloth who sets the standard in North America. RAM offers the Invitational (4066) series by Championship which is a blend of 75% wool & 25% nylon with a fabric weight of 20oz. This cloth is bathed in authentic Dupont Teflon for a superior stain resistance and playability. What sets Championship apart from the competition is the 30 different colors to choose from, the largest selection of colors in the North American cloth market. Click here for the full Championship website. 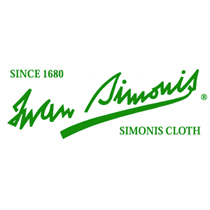 Simonis billiard cloth is the oldest cloth manufacturer in the cue sports industry and has been producing textiles in Belgium since 1680. They are known for the truest playing cloth in North America. RAM offers the Simonis 860 series which is a blend of 90% wool & 10% nylon with a fabric weight of 26oz. We also offer the Simonis 860 HR (High-Resistant) which is a blend of 70% wool & 30% nylon with a fabric weight of 27oz. Both products are a woven, worsted cloth with a high thread count to ensure consistent performance and durability. Click here for the full Simonis website. Strachan® West of England cloth has been made since 1890. It is widely recognized as the leading global brand and the choice of table manufacturers, fitters, players and clubs. Made from 100% pure new wool, it offers exceptional performance, with a superior nap that provides unrivaled positional ball control and speed. 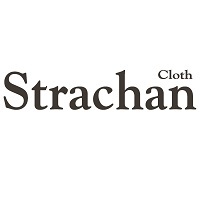 Strachan® cloth looks great, will continue to perform over its lifespan and will outlast its nearest rival. The Strachan® name, appearance, luster and sheen will help sell your table. The official and exclusive cloth choice of World Snooker, since 1980 Strachan® has been used at professional ranking tournaments across the globe, including the annual World Championships. 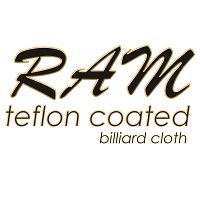 It is the official cloth of the International Billiards and Snooker Federation, the Asian Confederation of Billiards Sports and the European Billiards and Snooker Association. Click here for the full Strachan website.